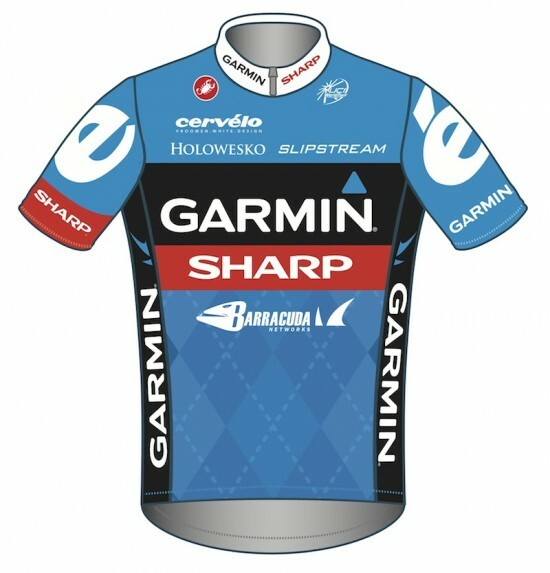 Garmin-Sharp’s new kit, released just in time for the Tour de France. I’ll resist the urge to acknowledge its good looks by appropriating their new sponsor’s name – but it is a good looking jersey. This entry was posted in Equipment, Teams and tagged Garmin-Sharp. Bookmark the permalink. And the argyle lives on. If you look really closely, that is. I miss the more obvious argyle patterns from 2-3 years ago. I suppose that’s the price of success and attracting bigger sponsors.